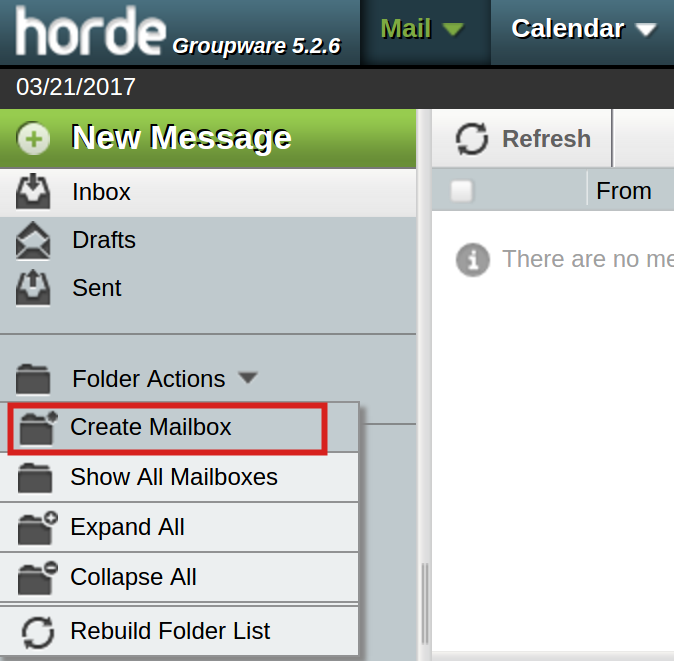 You can create folders in Horde to help better manage your e-mail stored on the server. 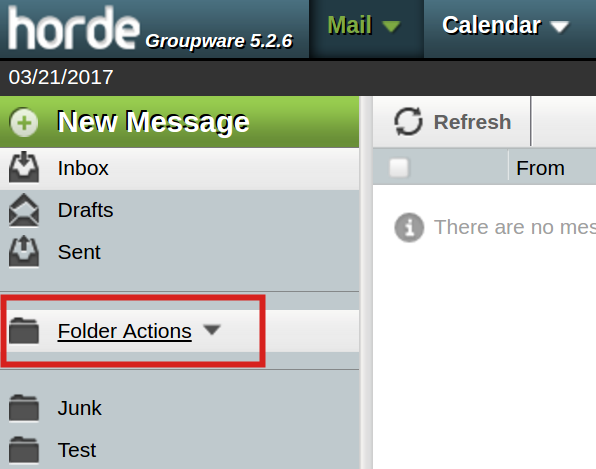 In this tutorial we will show you how to create as well as delete folders in Horde Webmail. Click the Folder Actions link. Click the Create Mailbox button. 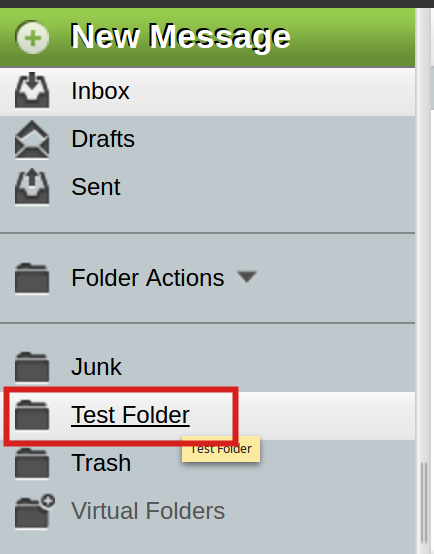 Enter the folder name in the box, then click the OK button. You will then see your new folder listed along with your other IMAP folders. Log into Horde. If you are already logged in, click the Inbox link. Right-click the folder you want to delete. Click Delete from the drop-down menu. You will then see a message asking if you want to "Permanently delete the folder." Check the box if you also want to delete the subfolders. Then click the OK button. 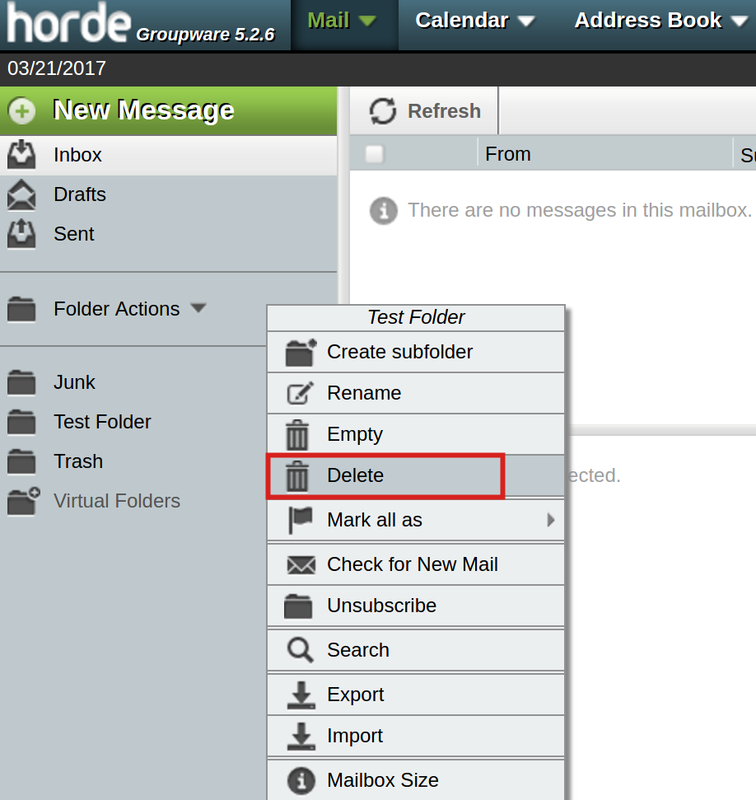 Congratulations, now you know how to create and delete an IMAP folder in Horde Webmail!